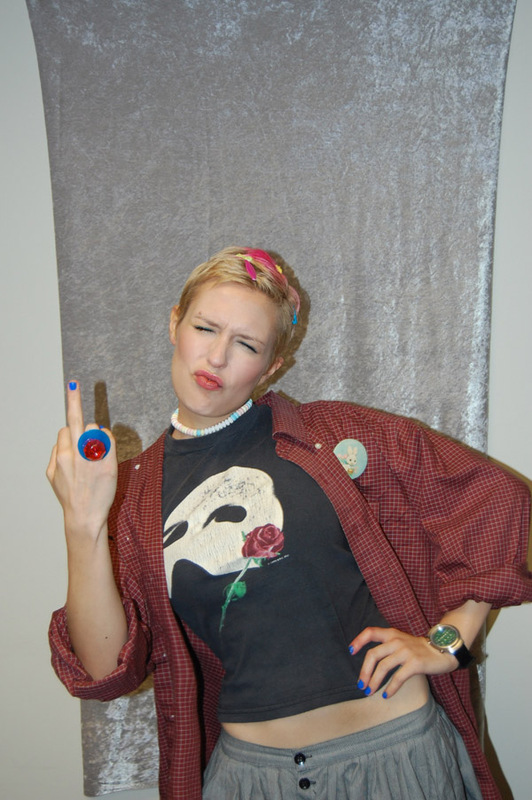 dressed up like a lady: "Back to School" Party at my Office -- 2008! "Back to School" Party at my Office -- 2008! 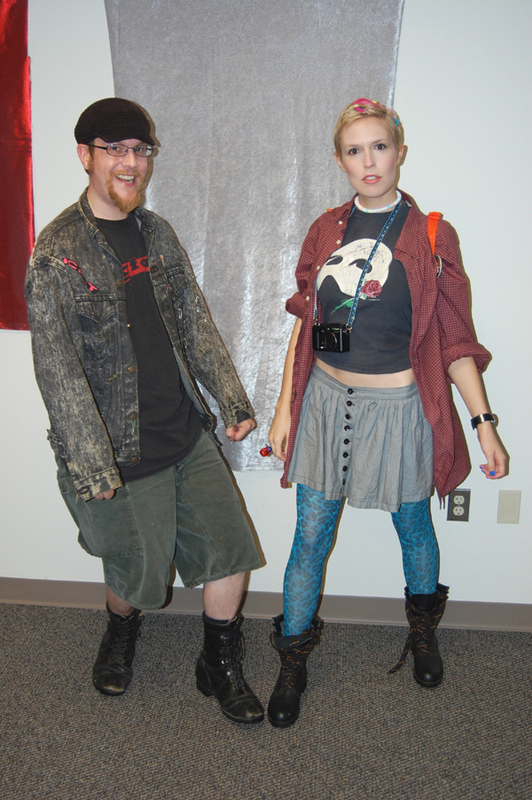 A few years ago, in honor of Fall, my office had a "Dress Like You Dressed in High School Party," and I just discovered the pictures from it hiding on my computer! I actually wore that children's Phantom of the Opera tee when I was 16. The mask still glows in the dark. Also, if you want to get a real handle on my nerdiness: that's a binary watch I'm wearing. 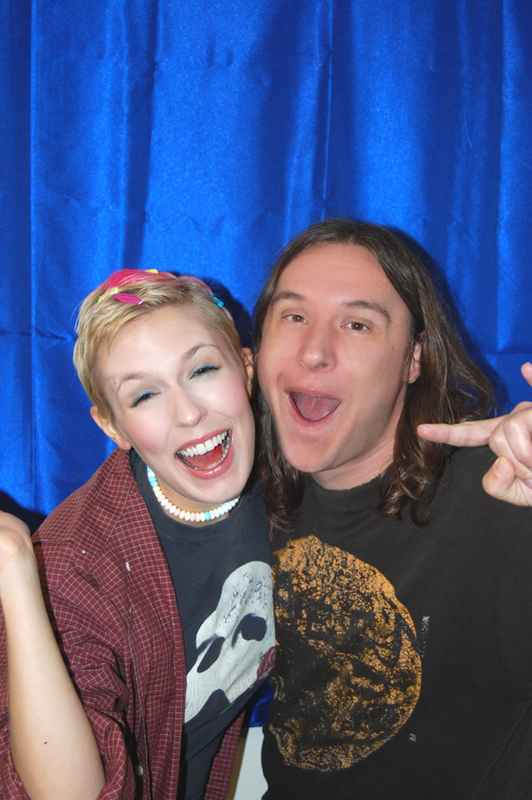 As you can see, they set up a little faux backdrop so we could pose for "School Pictures" throughout the party. 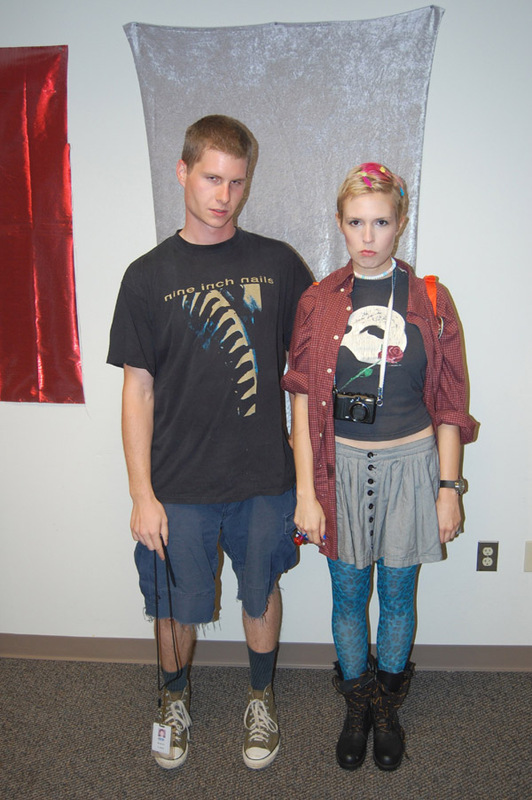 This is me and my friend/co-worker Rob posing as the Angsty Kids. 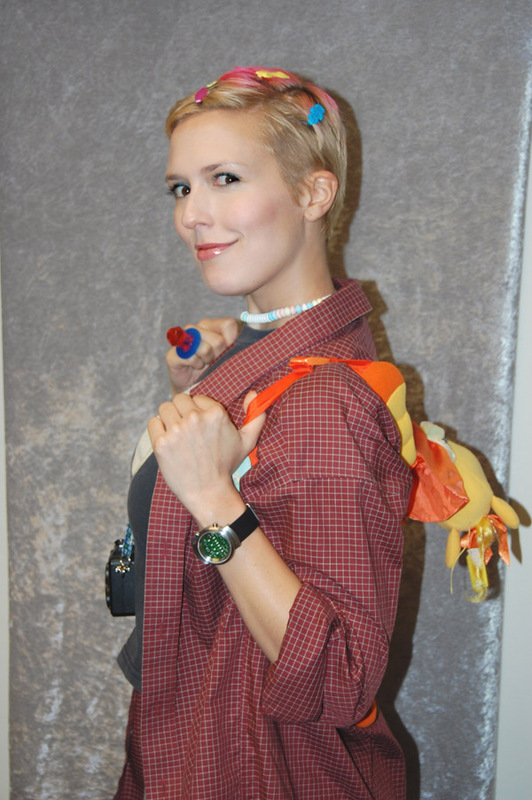 Candy jewelry and children's backpack. Yeah, I'm sorry to tell you, I did that. 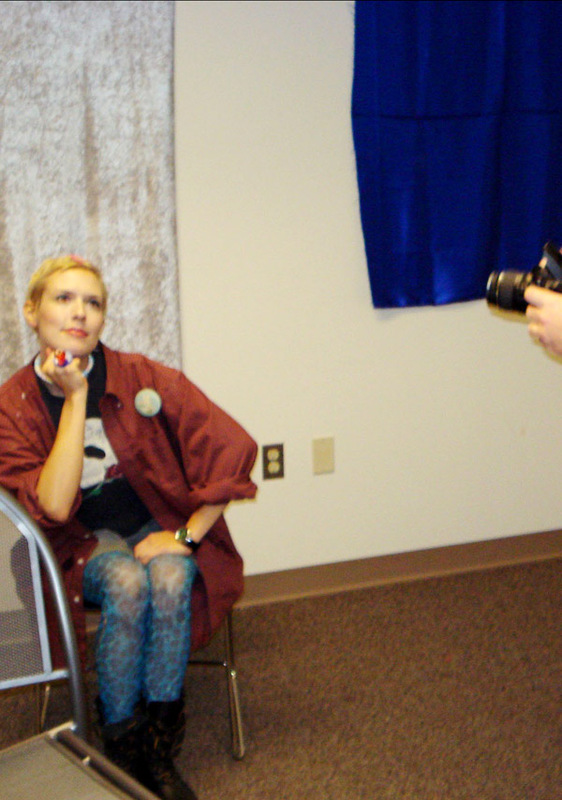 This picture of me and my office-mate Perry is totally not posed. BFFs!!!! 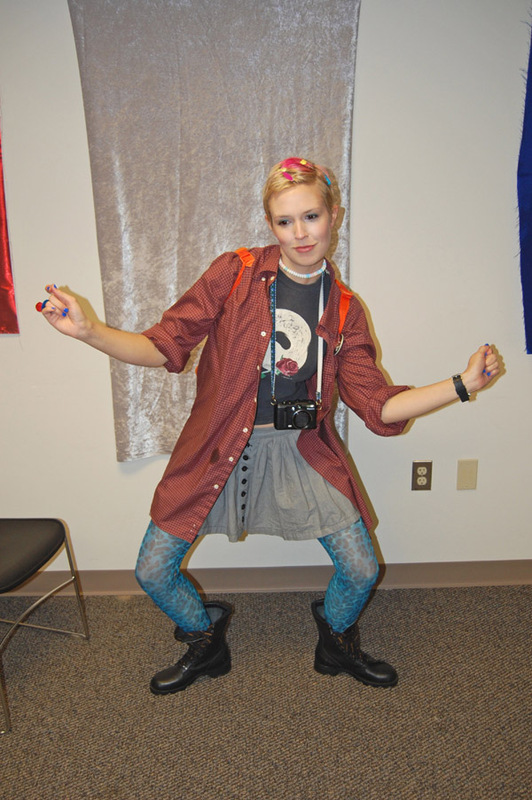 I don't know what masochistic tendency makes me reveal this picture of me doing the Tootsie Roll. Anyway, the scent of falling leaves and No. 2 pencils in the air makes September feel like Back To School month, even though I haven't had a classroom to report to in years. We should have another Back to School Party for 2011! Hahaha :D I wish I could attend a party like this! This sounds like the best place to work....ever!! Surprised the black and white doc martins were not part of the outfit. I suppose those did not last.